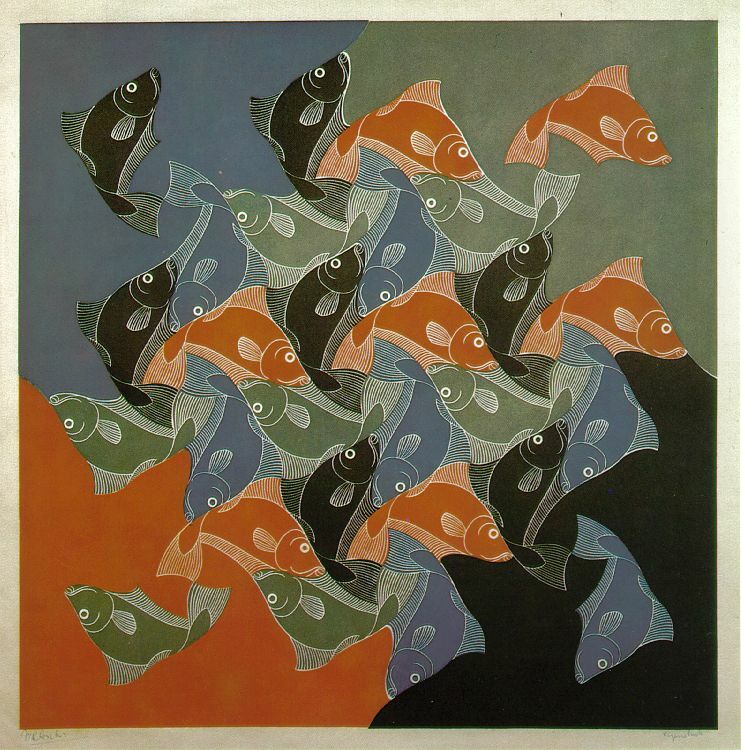 Born on June 17, 1898, this Dutch artist is one that both mathematicians and artist love. 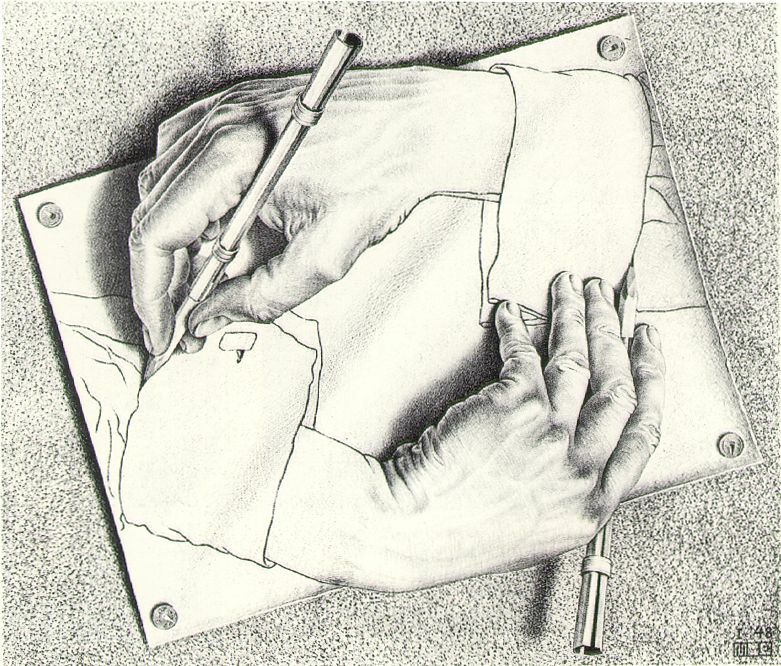 Escher was a graphic artist (art including printmaking, web design and advertising.) He was know for his woodcuts and lithographs; which are two ways of making prints. 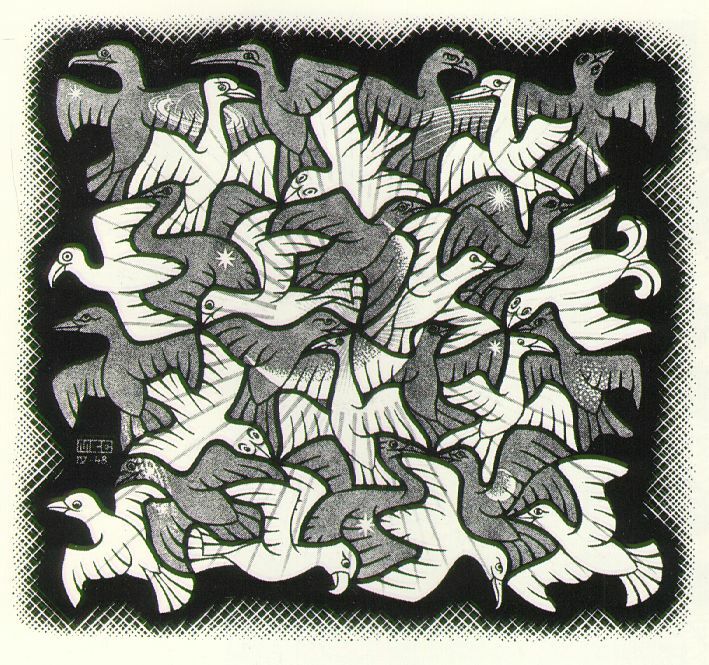 In a woodcut, the artist carves the design he wants from a block of wood, the applies ink to it and stamps the design onto paper. To make a lithograph, the artist uses chemicals and water to create an image on a metal plate which is used to stamp the design onto a piece of paper. The final product for both methods is called a print.